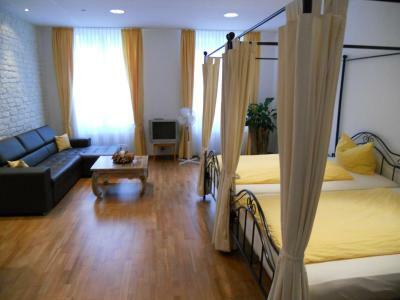 Lock in a great price for Zunfthaus zu Wirthen – rated 8.7 by recent guests! Solomon, who ran the front desk to waiting tables, spoke English and went out of his way to answer all our questions, helped with the parking, menu, and even loaned us a phone charger made our stay there an awesome one. Location was great and the food was excellent. Location is convenient with much shopping buzz. The ambience at the restaurant where we had breakfast was very good so even though the spread was quite small, we enjoyed it very much. We liked the numerous English speaking TV channels. The boiled eggs at breakfast. The impeccable cleaning of our room each day. The help given by the reception staff in organising the delivery of our mislaid luggage by the aircraft. I was upgraded to a double room with two double beds and bathroom with bath. The room was very clean, quiet and comfortable. There was a high quality coffee machine which I didn't know how to use until shown. The manager's father worked for an hour to get me connected to the internet. His wife went to make me a cup of tea as I had missed dinner. The breakfast was delicious and beautifully set out. The hotel is very warm and cosy. I was upgraded to a double room with bath but each bed was a double. Very comfortable, quiet and clean. Lots of hot water and attentive staff. 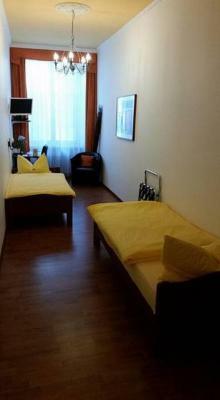 The hotel is situated in the old part of town, only 5 minutes away from the central train station. The room was comfy and clean, it had everything needed. The hotel does't have its own parking, but the big parking (with payment) is only 2 minutes away from hotel. 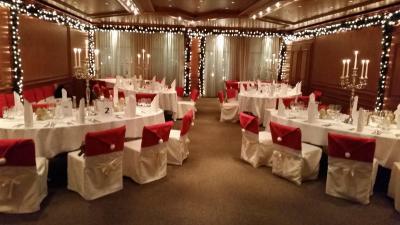 The hotel staff was wonderful and the services they provided were outstanding as well. Nice welcome drink was offered by Hotel. Very friendly staff at the desk and in the restaurant. The quality of the restaurant and the nice habit of a free welcome drink. 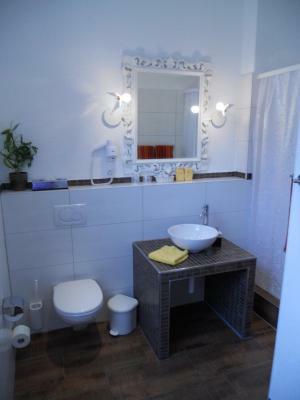 Zunfthaus zu Wirthen This rating is a reflection of how the property compares to the industry standard when it comes to price, facilities and services available. It's based on a self-evaluation by the property. Use this rating to help choose your stay! 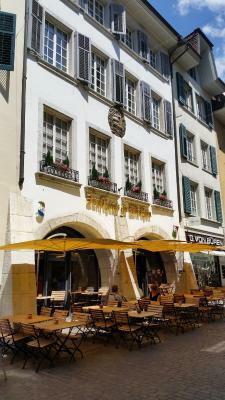 A small, family-run hotel in the heart of Solothurn's Old Town, the nicest baroque city of Switzerland. 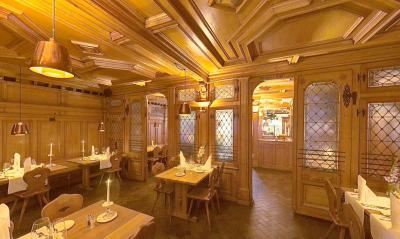 It has a 500-year history and the restaurant is still in its original state with the wooden wainscoting from the German Renaissance. 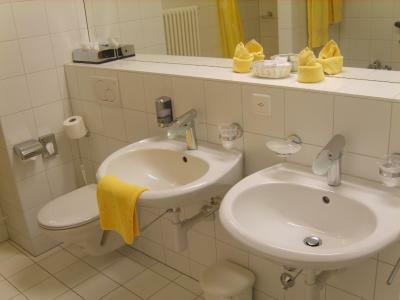 The hotel offers modern rooms equipped with all common facilities. 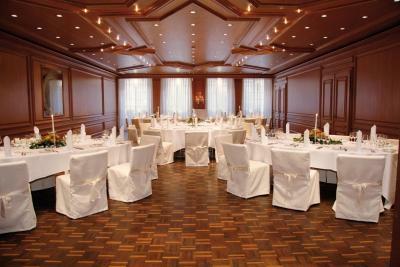 There is also conference facilities available for all types of functions. Close to the hotel you will find a golf course (1.9 mi away) and biking paths. 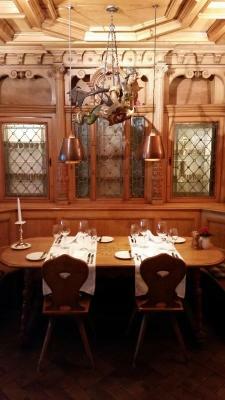 When would you like to stay at Zunfthaus zu Wirthen? 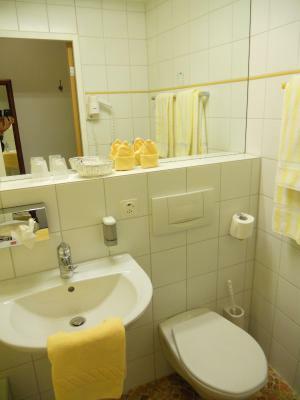 This well-decorated room with parquet flooring and cable TV has a private bathroom with a hairdryer and toiletries. 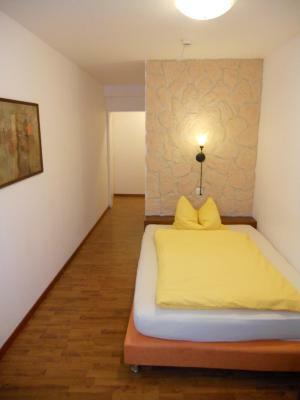 This well-decorated and spacious room with parquet flooring and cable TV has a private bathroom with a hairdryer and toiletries. This apartment features rooms facing the quiet inner courtyard, a fully equipped kitchen and washing equipment. 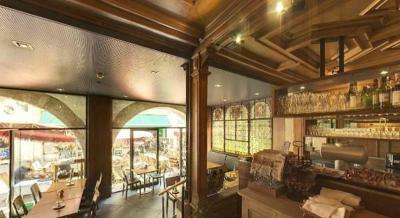 The cozy lounge has a fireplace and magnificent murals, adding a Baroque charm. Large room featuring a spacious bathroom with a shower or bath. 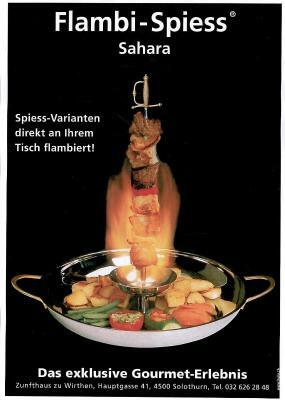 House Rules Zunfthaus zu Wirthen takes special requests – add in the next step! 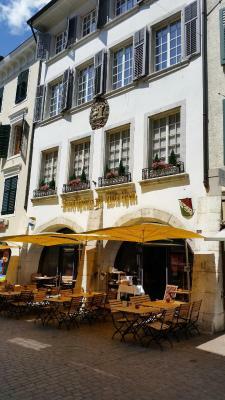 All children from 3 to 16 year are charged CHF 25 per person per night for extra beds. One older child or adult is charged CHF 45 per person per night in an extra bed. 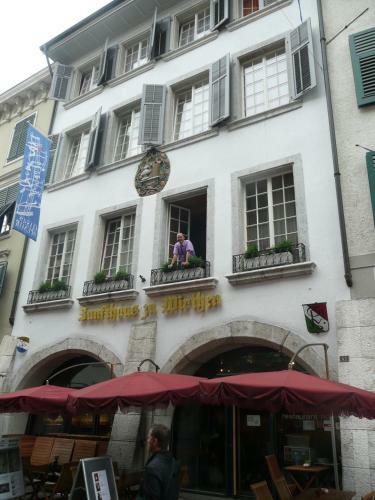 Zunfthaus zu Wirthen accepts these cards and reserves the right to temporarily hold an amount prior to arrival. Please also note that the reception is closed on Sundays and Mondays after 18:00. 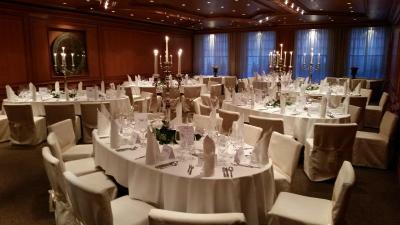 Guests arriving after that time can collect the keys in a key box, which is located at the hotel entrance in Hauptgasse 41. The entrance can only be opened with a code, which will be sent via e-mail before arrival. No kettle to boil water. 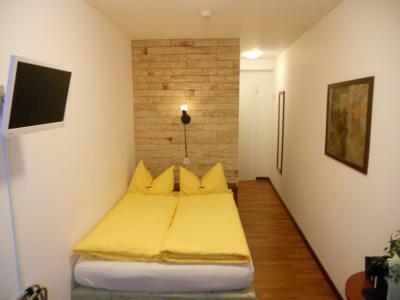 The double bed is quite small for 2 persons. There is nothinf to not like abiut this hotel. We loved thw breakfast buffet with the best bread from the famous bakery, fresh cut fruits and the historic restaurant with its wood carved panels. the hotel offered us a welcome drink to choosw feom the ccities on winery and beer brewery. Cannot think of a dislike. Small room, the bed and pillow were uncomfortable. 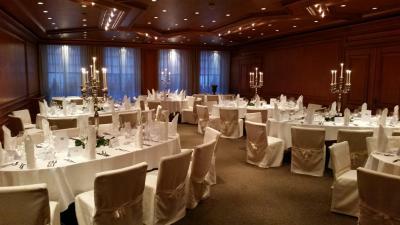 The reception and restaurant are closed on Sunday and Monday. Great location, in the centre of the city. The internet connection wasn't working the first night and because it was Fastnacht, I couldn't get a table in the restaurant however I was recommended other restaurants nearby. Would have liked a kettle and teabags being English. Could have done with an extra pillow and a kettle for tea. There was no tea and I am English! Internet wasn't working but the manager's father spent over an hour trying to connect me. He went out of his way to help. The nearby clock tower, which struck every 1/4 of the hour!!! Nearest parking facility quite a distance away and very expensive!! The croissants were very buttery, the breads like home made, the Bircher Muesli fantastic. Two queen size beds in the very big room, comfortable lounge set.